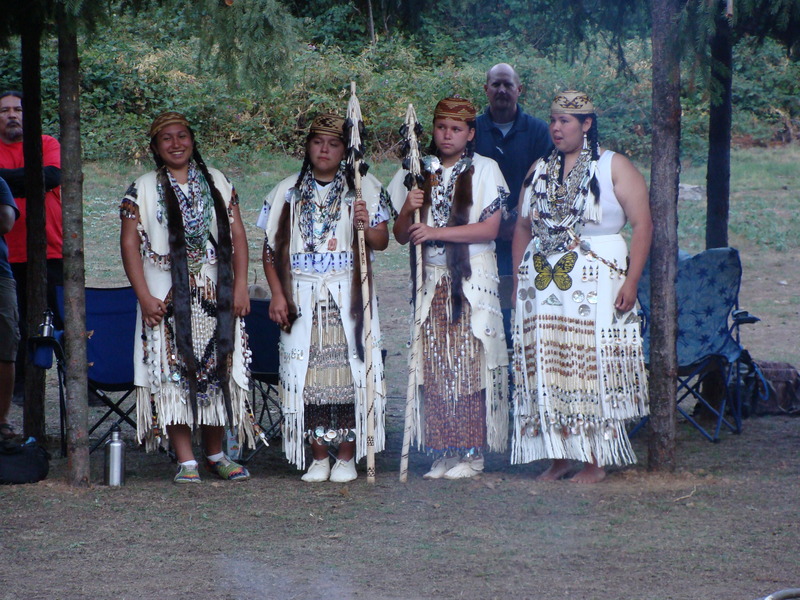 Because of inadequate protection from intruding recreational boaters, the Winnemem Wintu have postponed our Bałas Chonas (Coming of Age Ceremony) for Marisa Sisk until next year, Traditional Hereditary Chief and Spiritual Leader Caleen Sisk-Franco announced this week. 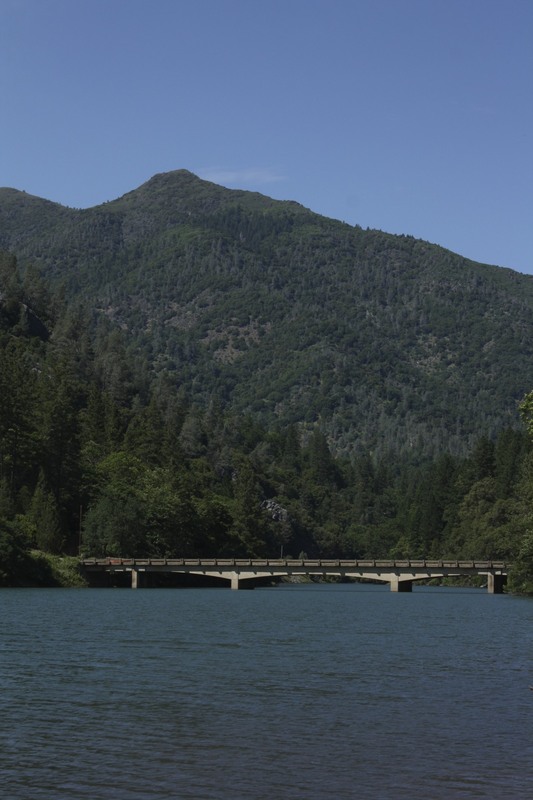 The site of the ceremony is a traditional Winnemem village site on the McCloud Arm of Shasta Lake in Northern California. It’s now managed by the U.S. Forest Service as a campground, and in previous ceremonies we’ve suffered harassment and intrusion from boats and fishermen. For more than five years, we’ve asked the Forest Service to enforce a mandatory river closure for the ceremony’s four days in order to give us the peace and privacy we need for a good ceremony. They have continually refused to honor this request, even though it is within their power to close the river. Because Marisa is the young woman training to be the next leader, our Chief decided the risk was too great and the indignity of holding a ceremony without complete privacy could no longer be tolerated. The Winnemem plan to regroup and spend the next year campaigning to secure a river closure for the ceremony next July. The tribe also plans to investigate filing a complaint through the United Nation’s Committee on the Elimination of Racial Discrimination. The 2008 Farm Bill provides Forest Service with the ability to close public lands temporarily for religious ceremonies for “federally recognized” tribes. However, these rights are not provided to unrecognized tribes like the Winnemem, who have a well-documented history, living culture and are as indigenous as any recognized tribe. We believe this is a form of unjustifiable discrimination that severely inhibits our ability to maintain our culture and lifeways. We will be working on our campaign to secure the closure throughout the year. Please check back on this blog for updates. Also please follow our profiles on Facebook andChange.org. Thank you to all who have put out so much work on this ceremony’s preparation, food, wood, volunteer kayakers, and the many others who are helping in the organizing the safety, security, and all the dancers and singers who were ready to share and support this most needed ceremony. I appreciate all of your work and know that you are blessed for it. And we shall never give up. In their correspondence with us, Forest Service officials say the voluntary river closures have worked, that we’ve had “successful” Coming of Age ceremonies and that they’re happy to “assist” us in our upcoming ceremony next month. If these ceremonies were so successful, why do we keep requesting for a mandatory closure? Why did we pull out Marisa, the young woman training to be our next leader, from last year’s ceremony when we realized the Forest Service couldn’t guarantee a peaceful ceremony? Apparently, the government not only gets to decide who’s Indian, but also gets to decide what’s a good ceremony. Essentially, they want to tell us how we should feel. They dismiss our religious needs because it isn’t conveniently congruent with their policy, and they insinuate we should be thankful for what little they provide. They act as if we are asking for so much, when all we want is to temporarily close a tiny corner to boaters in a recreational area that encompasses 30,000 acres of surface water. And even if we did secure a mandatory closure, we would still be making concessions: water releases from the Shasta Dam often submerge the dance grounds as well as Puberty and Children’s Rocks through the spring. This makes it impossible for us to hold the ceremony in May when the flowers are blooming and when it was traditionally held. Instead we have to wait till mid-July, when temperatures are sweltering, endangering the health of our older Winnemem people and making it difficult to dance and sing during the day. In 2006, Puberty Rock was still underwater when we arrived at the site, and we had to proceed without a sacred rock that’s vital to the ceremony. It appears we could face this burden again as the long and heavy spring rains have the Lake nearly full to the brim. When we visited the ceremony site a couple weeks ago, the water was near the top of the McCloud Bridge and both rocks were underwater. Even as we sat at the picnic benches, a group of people on a boat passed by, blasting hip hop music so loud it echoed across the canyon. They waved and yelled at us, exhorting us to join in their party-time romp through our sacred place. It was so insulting to us and such an invasion of our spiritual space. Is this the sort of “success” the Forest Service expects for us this July? They acknowledge that we are the indigenous people from this river, they recognize us, and yet they ask us to make more sacrifices in accessing our sacred places than they ask of the so-called recreating public. We are the people who have lived here since our creation; the Forest Service has only managed this land for a few decades. Their attitude needs to change: their sense that their authority is somehow greater than ours and that the boaters’ rights are equal to our rights. When it came time for Marine to swim across the river in 2006, she dove down into the water, swam to the Puberty Rock and placed her hand against it. The dam might have submerged our sacred rock, but it could not submerge our prayers. The Forest Service and the government will fight us with laws and regulations, but we will resist with stronger medicine: with song, with prayer, with our hearts. 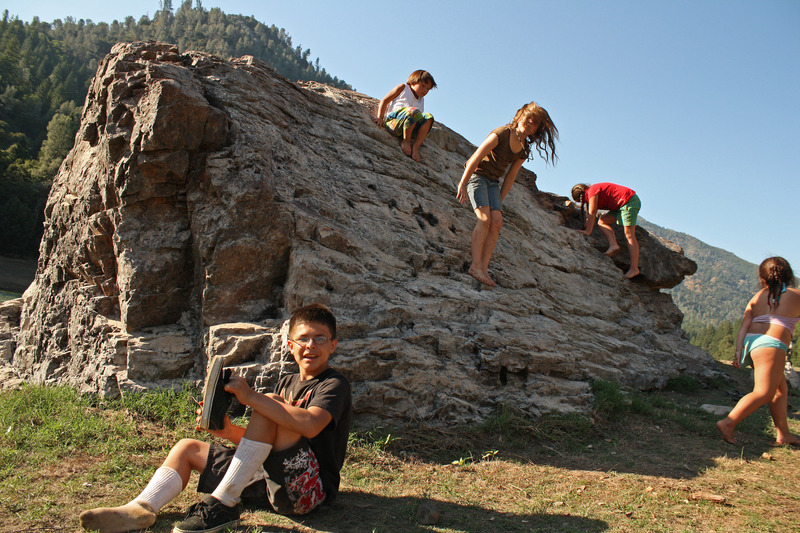 Caleen Sisk-Franco and Marisa, this year's celebrant, watch an eagle fly across the McCloud River canyon. It’s been almost a year since Jessica and Winona’s Coming of Age Ceremony during which several boats ignored the voluntary river closure and interrupted our ceremony. While there was no incidents as ugly as 2006, the boats filled our tribe with a sense of dread and fear. It was still unacceptable. The U.S. Forest Service continues to refuse to provide the mandatory closure for this year’s ceremony, which is even more important to the future of the Tribe. This year’s celebrant is Marisa, who’s training to be the Winnemem’s next leader. 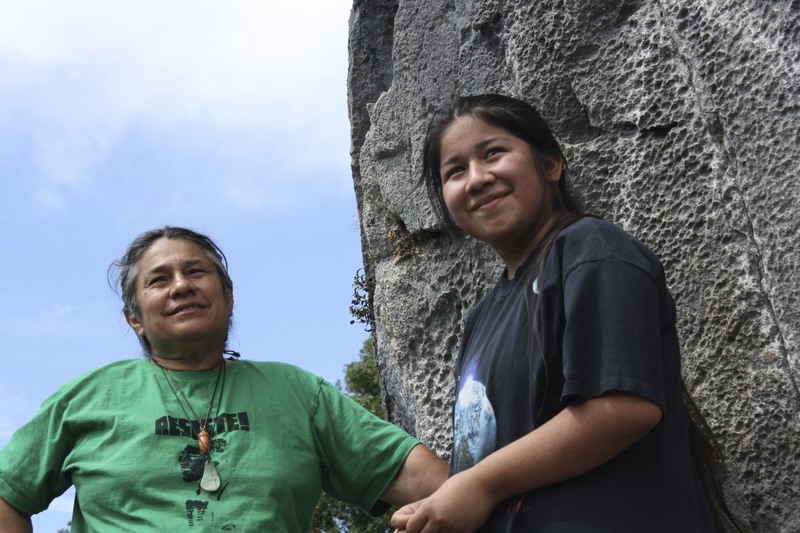 Any significant disruption to the ceremony could not only affect Marisa’s future but also that of the Tribe, which faces many challenges, including a proposal to raise the Shasta Dam. The 2008 Farm Bill provides the Forest Service with the authority to close the river for ceremony, but they refuse to do so because we’re “federally unrecognized”. The absurdity of this argument, especially because the Forest Service has maintained a relationship with the Winnemem that spans more than 100 years, is spelled out in this old post. They have not provided any reasonable solutions or alternatives to this policy, but we are still fighting for the closure. Here is how you can join with us. Print and distribute this factsheet. Sign a tribal resolution, like this sample. Sign the Change.org petition or send a letter by fax or regular mail to Sen. Feinstein. See this template. Make a donation to support the ceremony. After investing two full days of constructing the arbor, bark huts, setting up the camp kitchen, and making other preparations to hold the Winnemem coming of age ceremony the Winnemem must invest almost equal time removing all traces of themselves from the land that used to be a Winnemem village site. This video shows the process of removing the camp with narration by Mark Franco, headman of the tribe explaining how things would be different if they were holding this ceremony on their own tribal land. Ceremony Complete, But What Will Next Year Bring? Last week the Winnemem held their coming of age ceremony for Winona and Jessica. The ceremony was held under a voluntary river closure similar to 2006. However, unlike in 2006, thanks to a host of volunteers, the County Sheriff, both the administrative and law enforcement arms of the US Forest Service, and the cooperation of the general public this ceremony occurred with a minimum of interference. In fact, not a single boat crossed the voluntary closure in the final two days of the ceremony and only two boats crossed the second day. Lacking the guarantee of a full closure, the Tribe could not risk subjecting their future leader to harassment and instead they decided to postpone Nina’s ceremony until 2011. The future of the Tribe relies on a positive environment for the coming of age ceremony for the future leader of the Tribe. We have already begun working on a full closure for 2011. Please join the Winnemem Action List for updates and opportunities to act. 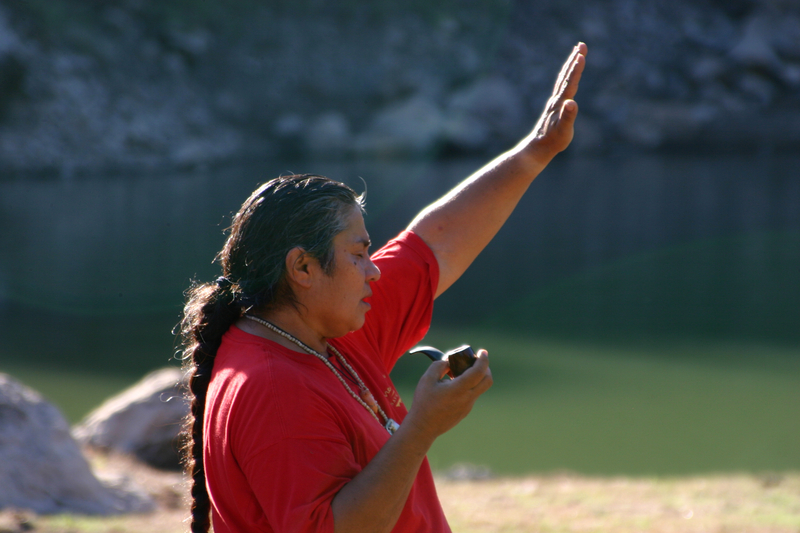 Sign up for the Winnemem Action Listserv. Thanks to everyone who has taken time to support the Winnemem in their quest to hold their Puberty Ceremony with the respect and dignity they deserve. Puberty Ceremony will go forward, but sadly the Tribe will conduct the ceremony subject to the same voluntary closure they had in 2006 that allowed for the harassment you can view on the video of the 2006 ceremony. This undignified outcome comes down to the fact that the Winnemem Wintu Tribe is not federally recognized. Were they a recognized tribe they would have been afforded protections under the 2008 Farm Bill. Please join the Tribe’s fight for Federal Recognition. Sign up for the Winnemem Action Listserv. With the stroke of a pen, back in the 1980s, our Federal Government created two classes of American Indians. Based on limited criteria the Government decided which Tribes’ existence they would acknowledge and which they would not. Those not on the list are left without access to the services, benefits, and protections allocated to their recognized brethren. Here in California, particularly in the far northern reaches of the State many traditional tribes, like the Winnemem, were left off of the list. It has been more than twenty years since federal recognition was established and in all of those years not a single Presidential administration has figured out how to right this incredibly unjust wrong. California, and ironically, many federal agencies including the US Forest Service have developed means to work around federal recognition. The California Native American Heritage Commission holds an official state list of California Tribes used by local governments to determine which Tribes they must consult before undertaking projects in ancestral tribal territory. Many agencies, state and federal, have memorandum of understanding with Tribes, both recognized and unrecognized. In fact, the Winnemem have MOUs with many agencies including CALtrans and the US Forest Service. Further demonstrating California’s knowledge and acceptance that the Winnemem exist, the California State Legislature passed a join resolution authored by Assemblyman Jared Huffman, AJR 39, memorializing congress to recognize the Tribe. All of this and the Federal Government continues to pretend that the Winnemem and many other traditional Tribes do not exist. Instead, if these Tribes wish to pursue recognized status they are directed to the Federal Acknowledgement Process. The process puts the burden of proof on the Tribes, can cost thousands of dollars, and can take dozens of years, and many applications become stuck in the process because of incomplete information. A tribe might also sue for recognition. Of course, most un-recognized tribes lack the financial resources to undertake a lengthy court battle. Finally, a tribe may be recognized through Congressional action. This assumes that there is a congressman willing to author the bill with the political clout to get the bill amended into a larger bill that is likely to pass and be signed by the President. For the Winnemem this leaves them with little hope as their Congressman, Wally Herger, is not willing to carry the bill and there is a strong culture in Congress of not interfering in someone else’s district. Tell the Forest Service to close the river and protect our ceremony! Urge the Forest Service to provide a mandatory river closure during our ceremony. Sign the Change.org petition or even better: fax or send a letter, using this template letter. The Forest Service has the authority to close the river, they just need the public pressure to do what's right. Boats shouldn’t be allowed to interfere with ceremony.